It does not matter that you are with a small business. If you are running this properly, you will, probably, convert it into a long haul. But if you are not running your business through a website or mobile app then it is the time for you to build a business website or mobile app. If you are still not satisfied that how a website will grow your business then just go through these following reason. These will make you sure how a website or app contributes to growing your business. We are currently breathing in an environment where every business has its online form in the shape of a classy website of a highly user friendly app. There are countless mobile application developers in Pakistan. The impression that your business is running online shows you as distinctive. When you come with the online form of business, it means you are permanent. It builds a strong trust between you and your customers. Tell me how many brands’ names do you remember you have seen in the past? The names with good design and attraction will hit the minds. So, invest in building an attractive business website to leave long-term effects on your customers’ memory. If you want to share the info about your products in front of the people then believe me that nothing will help the most than that of the website or mobile app. A website or mobile app is actually the platforms where you can gather a community and can share your ideas and products. When someone comes to the online business or a website, he stays only then if he gets some attractions about you. At this situation an old saying “The First Impression Is the last Impression.” Comes true. So, design your website in such a way that people will have to stay with you for a long time. Through a website or mobile app, you can show your brand with people more than that of other advertisements. 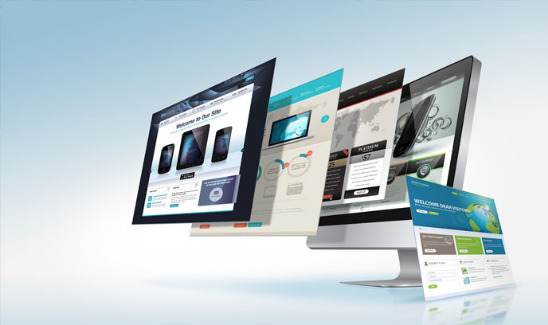 Through a website, you can show all of your services at one time among huge masses. The brands or business create on the base of ideas, values, and specific goals. But what happens when your ideas won’t deliver properly to the targeted audience? This will restrict your business growth, and it may be possible you are going to be directed towards a great disaster. But, through a website or mobile app, you can give a picture of your products or services clearly. Hence, your business will get a better response, no doubt. The real purpose of a mobile app and a website is to convince the customers to take possible actions upon you. When people read about your services, they must take possible actions if you are delivering your services properly. The more the action of the people will more grow your business. A registered brand or business with a registered domain name is more secure than others that are not registered at all. Once, you registered the name no one can even take the idea about your name and products. Won’t you like to beat your competitors and get a prestigious position in the market? If yes, then you have to keep the thing into mind that all of your competitors are growing their businesses through websites and mobile app. So, be steady to make this feature possible for your business.